All of the episode summaries from season one of The 100. Ninety-seven years ago, nuclear Armageddon decimated planet Earth, destroying civilization. The only survivors were the 400 inhabitants of 12 international space stations that were in orbit at the time. Three generations have been born in space, the survivors now number 4,000, and resources are running out on their dying “Ark” – the 12 stations now linked together and repurposed to keep the survivors alive. Draconian measures including capital punishment and population control are the order of the day, as the leaders of the Ark take ruthless steps to ensure their future, including secretly exiling a group of 100 juvenile prisoners to the Earth’s surface to test whether it’s habitable. For the first time in nearly a century, humans have returned to planet Earth. 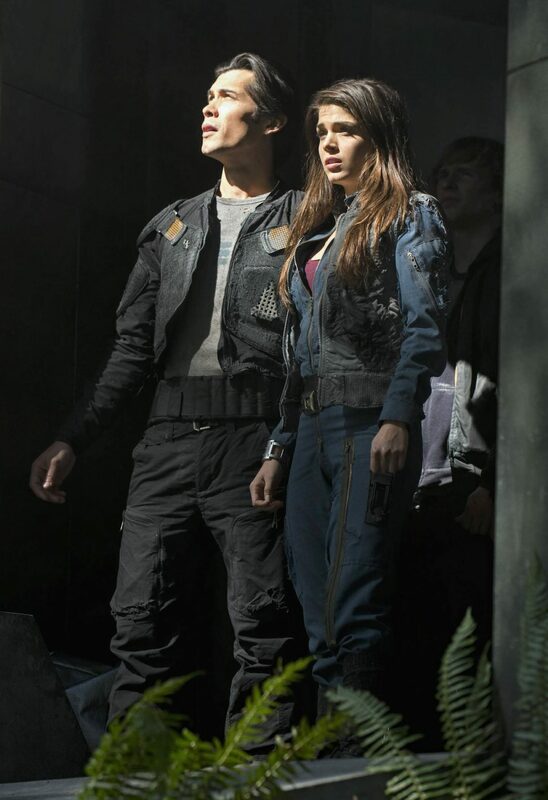 Among the 100 exiles are Clarke, the bright teenage daughter of the Ark’s chief medical officer; Wells, son of the Ark’s Chancellor; the daredevil Finn; and the brother/sister duo Bellamy and Octavia, whose illegal sibling status has always led them to flaunt the rules. Technologically blind to what’s happening on the planet below them, the Ark’s leaders — Clarke’s widowed mother, Abby; the Chancellor, Jaha; and his shadowy second in command, Kane — are faced with difficult decisions about life, death and the continued existence of the human race. For the 100 young people on Earth, however, the alien planet they’ve never known is a mysterious realm that can be magical one moment and lethal the next. With the survival of the human race entirely in their hands, THE 100 must find a way to transcend their differences, unite and forge a new path on a wildly changed Earth that’s primitive, intense and teeming with the unknown. The series stars Eliza Taylor (newcomer) as Clarke, Paige Turco (“Person of Interest,” “Damages”) as Abby, Thomas McDonell (“Suburgatory”) as Finn, Eli Goree (“Emily Owens, M.D.”) as Wells, Marie Avgeropoulos (“50/50”) as Octavia, Bob Morley (newcomer) as Bellamy, Kelly Hu (“X2: X-Men United,” “Arrow”) as Cece, Christopher Larkin (“Squad 85”) as Monty, Devon Bostick (“Aim High”) as Jasper, with Isaiah Washington (upcoming “Blue Caprice,” “Grey’s Anatomy”) as Chancellor Jaha, and Henry Ian Cusick (“Lost,” “Scandal”) as Kane. Based on the upcoming book series by Kass Morgan, THE 100 is from Bonanza Productions Inc. in association with Alloy Entertainment, Warner Bros. Television and CBS Television Studios with executive producers Matthew Miller (“Human Target,” “Chuck”), Jason Rothenberg (upcoming “Twilight Zone” feature), Bharat Nalluri (“Torchwood,” “Emily Owens, M.D.”), Leslie Morgenstein (“The Vampire Diaries”) and Gina Girolamo (“The Secret Circle”). The pilot was directed by Bharat Nalluri. Short synopsis: 97 years after a nuclear war, humankind is living in space. 100 juvenile delinquents are sent down to Earth to see if the planet is habitable. 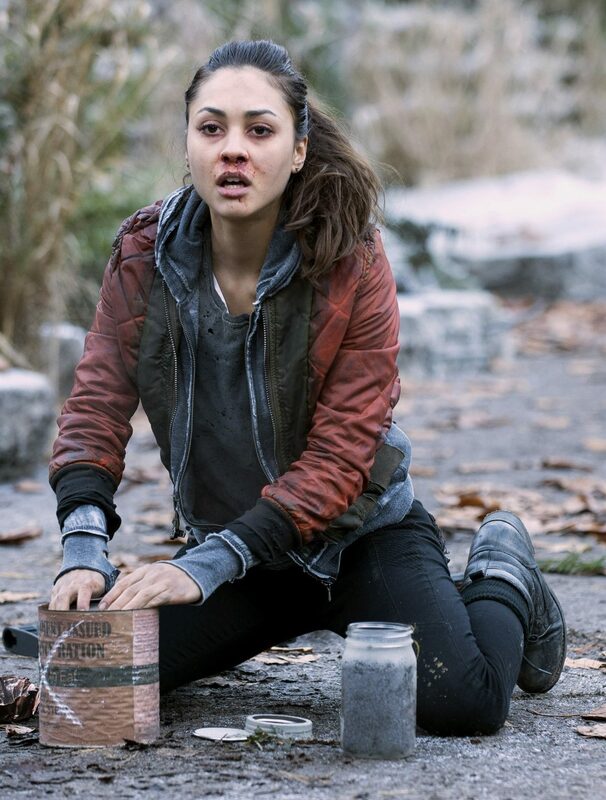 LINDSEY MORGAN (“GENERAL HOSPITAL”) GUEST STARS IN THIS EPISODE — Having discovered that Jasper (Devon Bostick) may still be alive, Clarke (Eliza Taylor), Bellamy (Bob Morley), Octavia (Marie Avgeropoulos), Finn (Thomas McDonell) and Monty (Chris Larkin) set out on a mission to locate their friend and are shocked at what they find. 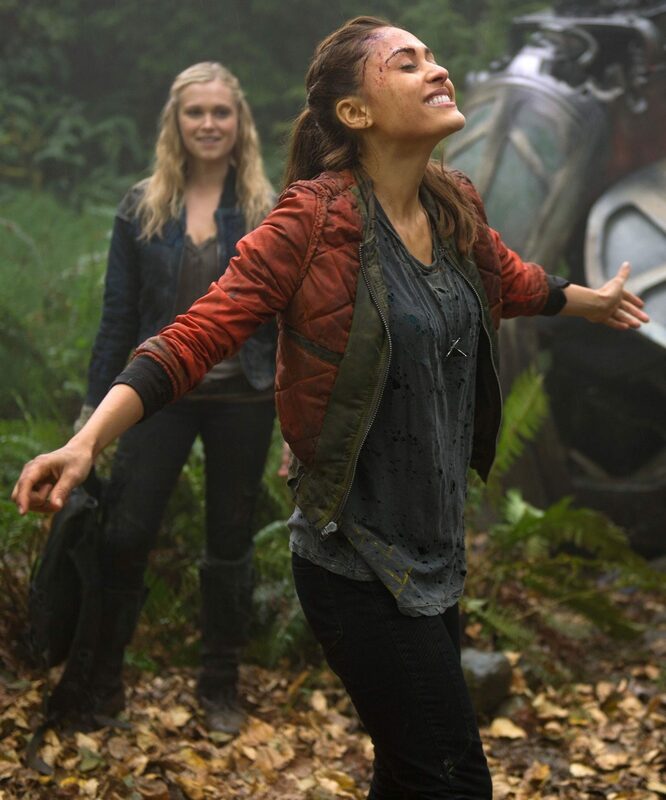 Meanwhile, on the Ark, Abby (Paige Turco) is determined to get to Earth, and enlists Raven (guest star Lindsey Morgan) to craft an escape pod. Isaiah Washington and Henry Ian Cusick also star. Dean White directed the episode written by Jason Rothenberg (#102). IZABELA VIDOVIC (“HOMEFRONT”) GUEST STARS IN THIS EPISODE — In a desperate attempt to treat Jasper’s (Devon Bostick) festering wounds, Clarke (Eliza Taylor), Finn (Thomas McDonell) and Wells (Eli Goree) set out in search of a seaweed antibiotic. Bellamy (Bob Morley) and his crew go hunting for food, and are joined by Charlotte (guest star Izabela Vidovic), a lovable 13-year-old, who feels safe under Bellamy’s protection. A thick, acidic fog appears, forcing Clarke, Finn and Wells to seek shelter inside an ancient van. 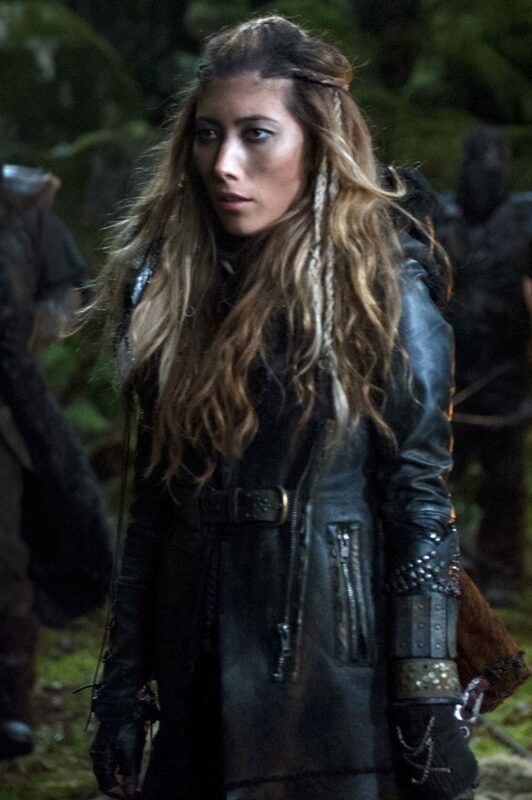 While they are trapped, Clarke confronts Wells on his betrayal that resulted in her father’s death. Paige Turco, Isaiah Washington and Henry Ian Cusick also star. Dean White directed the episode written by Elizabeth Craft & Sarah Fain (#103). CRIME AND PUNISHMENT— After the shocking death of one of their own, Clarke (Eliza Taylor) and Finn (Thomas McDonnell) grow closer as they try to figure out a way to communicate with the Ark. Bellamy (Bob Morley) must keep the group from turning on one another as life on Earth takes a desperate turn. Meanwhile, Abby (Paige Turco) risks having herself floated in order to give Raven (Lindsay Morgan) the chance to stow-away in the escape pod bound for Earth. Isaiah Washington, Henry Ian Cusick, Marie Avgeropoulos, Devon Bostick and Chris Larkin also star. PJ Pesce directed the episode written by T.J. Brady & Rasheed Newson (#104). 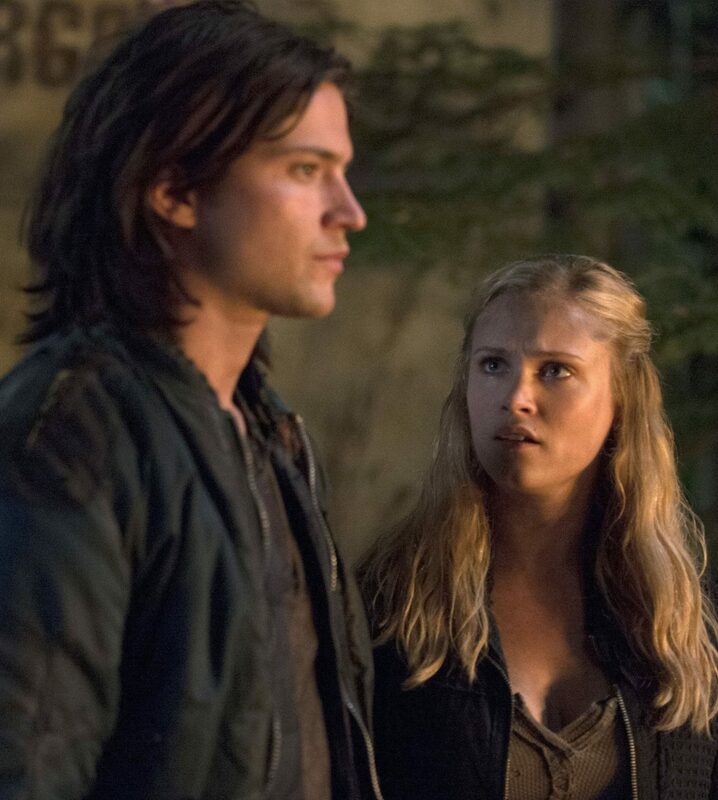 THE LAST RESORT — Clarke’s (Eliza Taylor) newfound romance with Finn (Thomas McDonell) is threatened. 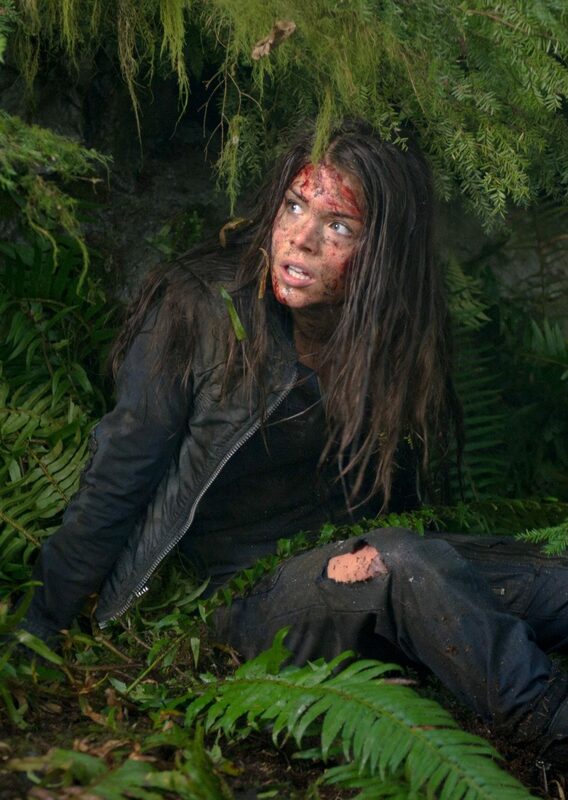 Octavia (Marie Avgeropoulos) suffers a blow to the head and wakes up to find a Grounder watching her. 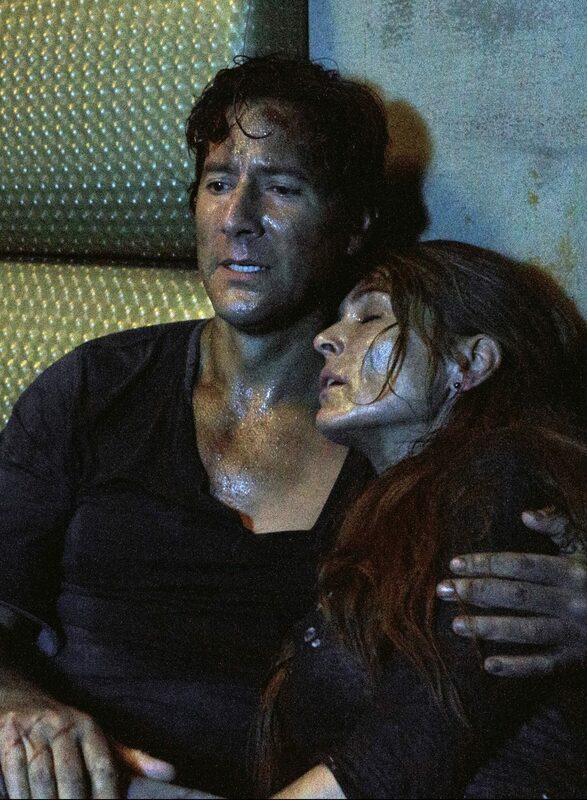 On the Ark, Abby (Paige Turco) exposes Kane’s (Henry Ian Cusick) plan to reduce the population of the Ark. Jaha (Isaiah Washington) and Abby (Paige Turco) notice a signal and realize at least some of the 100 must still be alive on Earth. 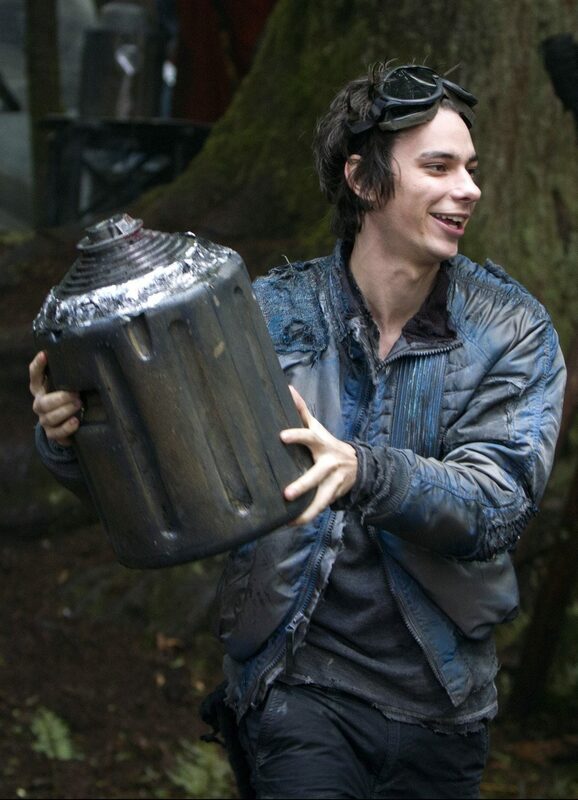 Bob Morley, Devon Bostick and Chris Larkin also star. Milan Cheylov directed the episode written by Bruce Miller (#105). KATE VERNON (“BATTLESTAR GALACTICA”) GUEST STARS IN THIS EPISODE — Clarke (Eliza Taylor) and Raven (guest star Lindsey Morgan) make contact with the Ark, and Abby (Paige Turco) guides Clarke through a dangerous procedure in a desperate move to save one of their own. Meanwhile, on the Ark, Abby is removed from the council, and former Chancellor Diana Sydney (guest star Kate Vernon) takes her place. Jaha (Isaiah Washington) reveals to Abby that there are not enough drop ships for everyone on the Ark to go down to Earth, and Kane (Henry Ian Cusick) begins to deal with his guilt over his recent decision. Thomas McDonell, Bob Morley, Devon Bostick and Chris Larkin also star. John Showalter directed the episode written by Akela Cooper & Kira Snyder (#107). 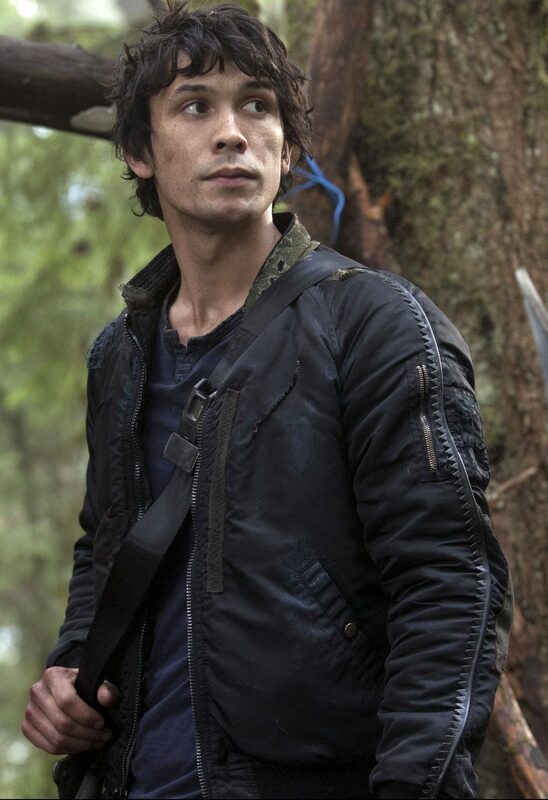 TERRY CHEN (“HOUSE OF CARDS”) GUEST STARS IN THIS EPISODE — Clarke (Eliza Taylor) and Bellamy (Bob Morley) go on a mission to find supplies for approaching winter. Some of the 100 accidentally eat nuts with powerfully hallucinogenic properties and lose their grasp on reality. Meanwhile, Octavia (Marie Avgeropoulos) seizes the opportunity to help a friend escape, and a terrifying event bringsClarke and Bellamy closer. On the Ark, Commander Shumway (guest star Terry Chen “House of Cards”) secretly assigns one of the 100 to kill one of his own, and the treacherous actions of Diane Sydney (Kate Vernon (“Battlestar Galactica”) are revealed. Paige Turco, Thomas McDonell, Henry Ian Cusick, Devon Bostick and Chris Larkin also star. Matt Barber directed the episode written by Elizabeth Craft & Sarah Fain and story by Andrei Haq (#108). MASS CHAOS — Clarke (Eliza Taylor) and Finn (Thomas McDonell) attempt to broker peace with the Grounders but all hell breaks loose when Bellamy (Bob Morley), Jasper (Devon Bostick) and Raven (guest star Lindsey Morgan) show up armed and ready for battle. Octavia (Marie Avgeropoulos) and Lincoln (guest star Ricky Whittle “Single Ladies”) grow closer. Meanwhile, tragedy strikes during the Unity Day celebration on the Ark. Paige Turco, Henry Ian Cusick, and Chris Larkin also star. John Behring directed the episode written by Kim Shumway & Kira Snyder (#109). 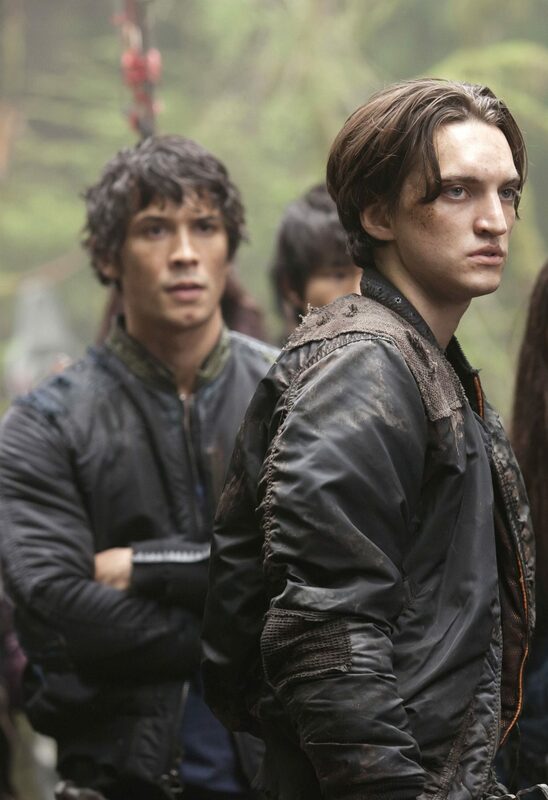 MURPHY RETURNS – Murphy (guest star Richard Harmon, “Bates Motel”) returns to camp claiming to have been held captive and tortured by the Grounders, and Clarke (Eliza Taylor) and Bellamy (Bob Morley) have very different opinions on how to handle his return. 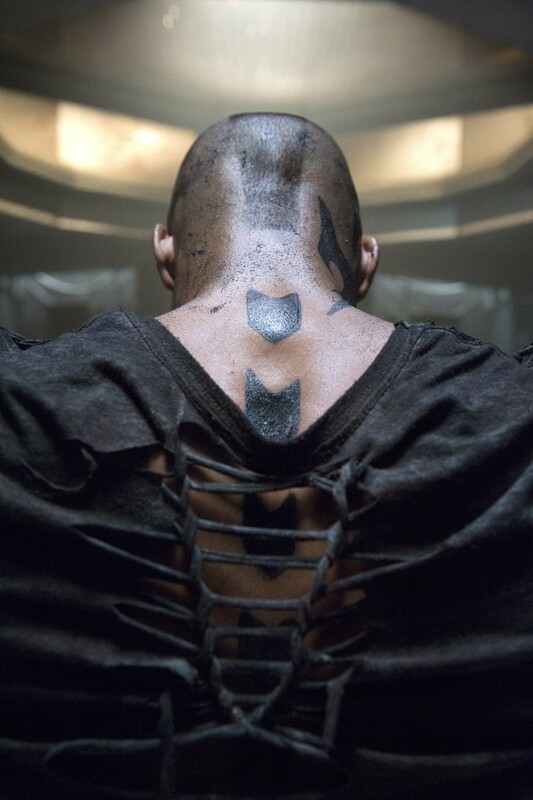 Octavia (Marie Avgeropoulos) sneaks away to find Lincoln (guest star Ricky Whittle) and returns with a serious warning for the 100. Meanwhile, a mysterious virus strikes camp forcing many to be quarantined, and Jasper (Devon Bostick) pulls off a heroic move. Paige Turco, Thomas McDonell, Isaiah Washington, Henry Ian Cusick and Chris Larkin also star. Omar Madha directed the episode written by T.J. Brady & Rasheed Newson (#110). KILL OR BE KILLED — With a low food supply at camp, Clarke (Eliza Taylor) and Finn (Thomas McDonell) lead a group out to hunt for food and wind up in a compromising position. With Finn’s life in danger, Clarke makes a game-changing decision. Meanwhile, Raven (guest star Lindsey Morgan) makes Bellamy (Bob Morley) an offer he can’t refuse. On the Ark – Kane risks his life and is reunited with Chancellor Jaha (Isaiah Washington) and Abby (Paige Turco). Marie Avgeropoulos, Devon Bostick and Chris Larkin also star. Mairzee Almas directed the episodewritten by Bruce Miller (#111). SHOULD WE STAY OR SHOULD WE GO — Clarke (Eliza Taylor) and Finn (Thomas McDonell) escape one dangerous situation only to find themselves faced with a new enemy. 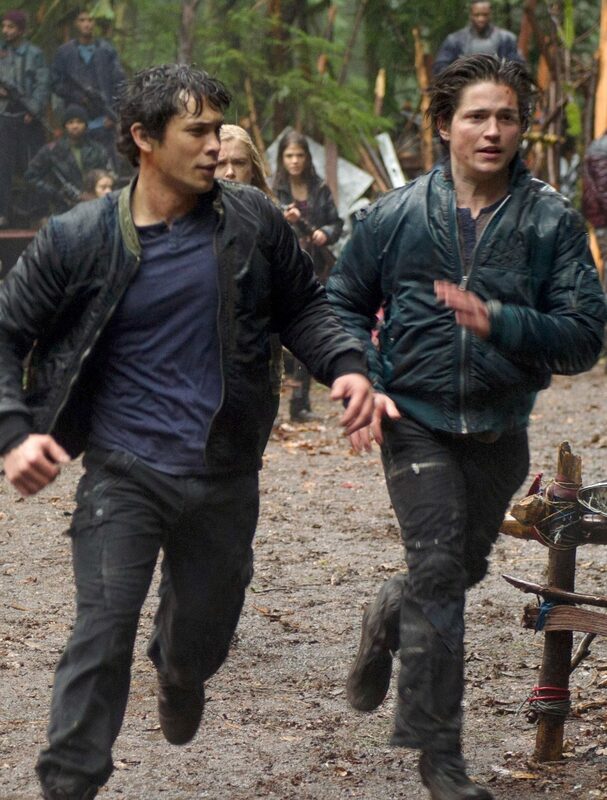 Bellamy (Bob Morley) makes a heroic move to save Jasper (Devon Bostick). Raven (Lindsey Morgan) faces a new danger, and Murphy (guest star Richard Harmon, “Bates Motel”) finally gets his revenge. Meanwhile, those remaining on the Ark are coming to terms with the inevitable. Paige Turco, Isaiah Washington, Henry Ian Cusick, Marie Avgeropoulos and Chris Larkin also star. Dean White directed the episode written by Tracy Bellomo & Akela Cooper (#112). 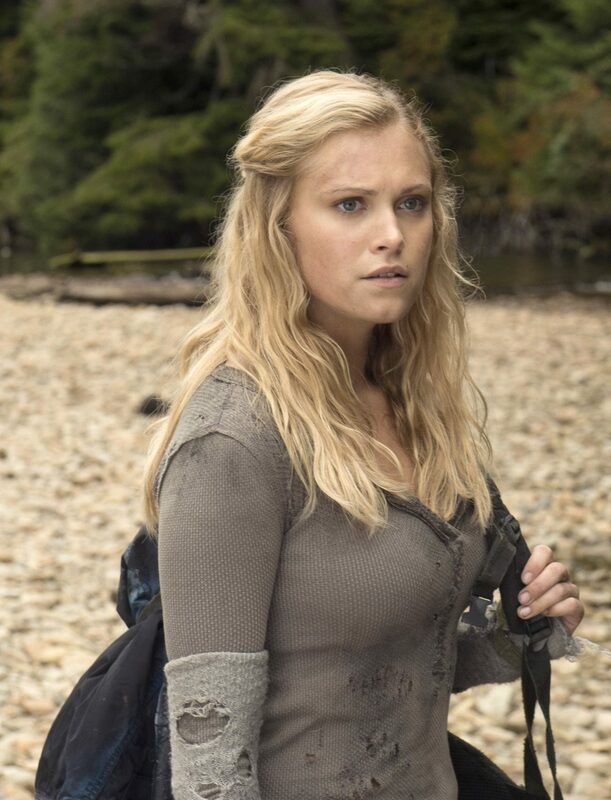 THE END OF THE WORLD AS WE KNOW IT — Clarke(Eliza Taylor) pleads withBellamy (Bob Morley) to do the right thing as conflict on the ground comes to a head. Bellamy forces Octavia (Marie Avgeropoulos) to make a difficult decision. Raven (guest star Lindsey Morgan) and Jasper (Devon Bostick) work against time and Finn (Thomas McDonell) makes a bold move. Meanwhile, the situation on the Ark comes to a stunning conclusion. Paige Turco, Isaiah Washington, Henry Ian Cusick and Chris Larkin also star. Dean White directed the episode written by Jason Rothenberg (#113).